Storey Publishing, LLC, 9781580172653, 32pp. 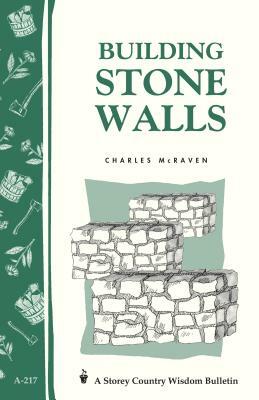 Charles McRaven is a stonemason and blacksmith, nationally known for building and repairing dozens of stone structures and log homes. He has written extensively on stone, including the books Building with Stone and Stonework, and articles for Country Journal, Fine Homebuilding, and many regional magazines. He lectures and conducts workshops and private courses in stone construction. Charles lives in Virginia.